DO MY CHOICES REFLECT THAT I WALK WISELY? A study of the character of the woman described in Proverbs 31:10-31 teaches us a significant character quality—she possesses a heart open to learning from the experience or wisdom of others. Biblical wisdom, “is both religious and practical. Stemming from the fear of the Lord (Job 28:28; Psalm111:10; Proverbs 1:7; 9:10) it branches out to touch all of life, as the extended commentary on wisdom in Proverbs indicates. DO YOU HAVE CONSECRATED CHINA? Now the leaders offered the dedication offering for the altar when it was anointed; so the leaders offered their offering before the altar. For the LORD said to Moses,“They shall offer their offering,one leader each day, for the dedication of the altar.” and the one who offered his offering on the first day was Nashon the son of Amminadab, from the tribe of Judah. His offering was one silver platter, the weight of which was one hundredand thirty shekels, according to the shekel of the sanctuary,both of them full of fine flour mixed with oil as a grain offering. As you approach this blog post an initial response could be, “this post does not apply to me—I do not have china,” and that may be true, but you do have vessels in which you serve food. These vessels may be bone china, stoneware, earthenware, plastic, stainless steel, pewter, enamelware, silver, wood, or paper. The material from which our vessels are made is not the question—rather the question is, have the vessels been consecrated to our Master’s use? Who are your role models? Perhaps you have several in your life—one role model may excel professionally, another in raising children, another in hospitality and yet another in Bible knowledge. I am blessed to have a number of Biblical and earthly role models who provide me with the stimulus to walk worthy of my calling (Ephesians 1:1-3). A blond-headed, blue-eyed daughter, I looked like the perfect blend of my mother and father. As others commented on the likeness, my parents smiled inwardly knowing that it was their heavenly Father who had chosen the custom matching of their adopted daughter as He had “made a home for the lonely,” (NASV) or, according to the King James Version, had set another solitary in a family (Psalm 68:6). 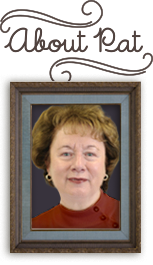 Older when they commenced the adoption process, Oliver and Mary Ennis were willing to commit to nurturing a child. Eventually they welcomed to their home an abandoned child with pneumonia. She had lain so long on her back that the back of her head was bald—as you may have surmised, I was that abandoned child. 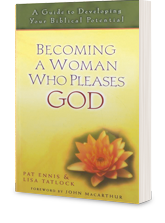 It’s May, the typical month for pastors to select sermon texts that challenge women to choose to become women who please God. Consider Ruth’s response when her pastor announces the Scripture topic for his sermon: The Incredible Search . . . 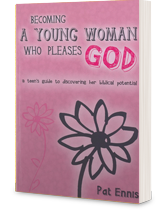 The Quest for Becoming a Woman Who Pleases God. Inwardly she groans. Oh, great. I am going to leave today’s service on another guilt trip rather than encouraged and edified. Perhaps I can plan my week’s menus or work on my Bible study while appearing to look interested. DO YOU OFFER TRUST AND CONFIDENCE IN YOUR FRIENDSHIPS? 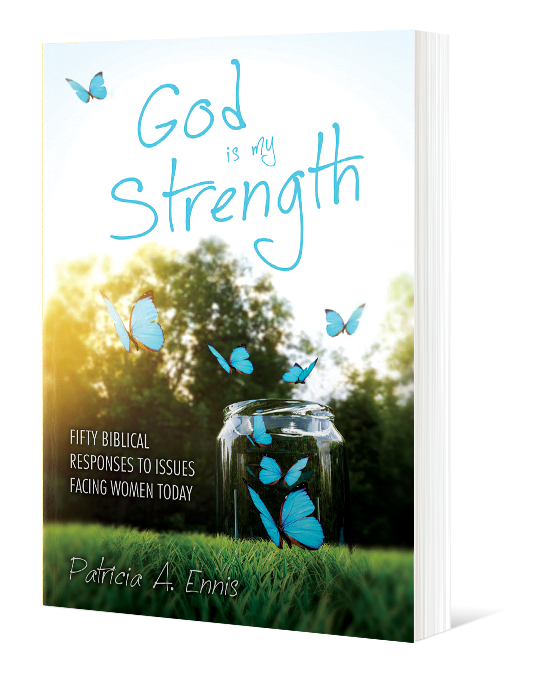 If you have read other of my Blog posts you know that as a Christian woman, trained as a Home Economist, I never expected to be single past my mid-twenties. However, the Lord had a much different plan for me and has gently matured my attitude toward singleness, as well as the purpose of marriage. Rather than marriage only providing an intimate, nurturing relationship, I know now that I should marry only if our united lives would be more effective for the Lord than either of us is in our single state. The month of February offers a cafeteria plan of emotions—from blessing to boredom the menu items are endless. Consider our options as women. We can be encouraged because we are making progress on the goals we set for the new or discouraged because it appears that we regress more than move forward. The quiet and solitude of the winter landscape can be enjoyed or the fact that “the Groundhog” saw his shadow may propel us to despair because it appears that winter will last forever. The “season of love” spanning February 1 to 14 can be delightful or disappointing. What we place on our emotional plate is largely determined by choosing emotions that produce contentment. A new year has arrived and with it the opportunity to deepen your relationship with your heavenly Father by trusting your future to Him! Are you viewing 2015 through the binoculars of the media or the Word of God? The media reports that, among other things, family values are crumbling, lawless is rampant, the education system undermines parental authority, the economy is literally bankrupt, and morality is at an all-time low. I grew up in the era when clothes were actually ironed and I was always intrigued when Mom would take a wet, wrinkled garment and, with the combination of the iron’s heat and her pressure transform the garment from an unacceptable to a wearable condition. Wanting to follow her model I would ask to “help.” She first taught me how to iron her embroidered dishtowels. The sets of seven gave the Home Manager guidelines for her week—wash on Monday, iron on Tuesday, mend on Wednesday, clean on Thursday, shop on Friday, cook on Saturday, and worship on Sunday. More importantly than the ironing skill Mom imparted, her servant’s heart challenged me to be excited about exhibiting Servanthood in my home and assimilate her homemaking skills. Though I am a Certified Family and Consumer Scientist by education and profession I learned the “how tos” of managing a home by assimilating what she modeled. WHAT IS YOUR GUEST REPUTATION. . . GRACIOUS OR GRINCH? As the holiday season approaches, invitations to a wide variety of activities are often extended to us. Frequently, in our haste, we don’t take the time to consider how to biblically respond to these invitations so that we will be known as a gracious guest. While it is important for both men and women to be gracious this post focuses on women since, according to Solomon, “A gracious woman attains honor . . .” (Proverbs 11:16). A blond-headed, blue-eyed daughter, I looked like the perfect blend of my mother and father. As others commented on the likeness, my parents smiled inwardly knowing that it was their heavenly Father who had chosen the custom matching of their adopted daughter as He had “made a home for the lonely” (NASB) or, according to the King James Version, had set another solitary in a family (Ps. 68:6). Older when they commenced the adoption process, Oliver and Mary Ennis were willing to commit to nurturing a child. Eventually they welcomed to their home an abandoned child with pneumonia. She had lain so long on her back that the back of her head was bald. As you may have surmised, I was that abandoned child. I love summer so it is a bit challenging to me to walk through the craft, card, fabric, and department stores and find holiday supplies displayed. However, I also know that good stewardship challenges me to plan ahead so that my holiday season is truly focused on the event it is meant to celebrate rather stressed-filled because I made poor choices in late summer and early fall. 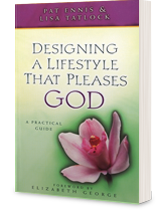 Just as my management skills propel me to plan ahead so I experience a fantastic rather than a frantic holiday season, so I must begin early to make spiritual choices so that I maximize the potentially rich experiences. HOW DO I CULTIVATE A HOSTESS’ HEART? 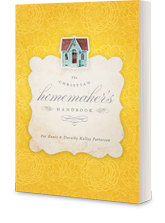 The attitude of the apostle Paul is one that all women who desire to cultivate the heart of a hostess must embrace. 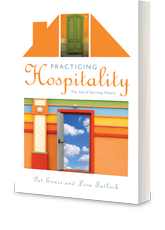 As we study the scriptural passages that challenge us to practice hospitality most of us can reflect on a time when we tried to extended friendship to others and were met with rejection.